September 27, 2010  Bayer can now sell a birth control pill that contains a B vitamin shown to reduce the risk of certain kinds of birth defects. Called Beyaz, this version of the pill is the latest to be touted for reasons beyond preventing pregnancy. 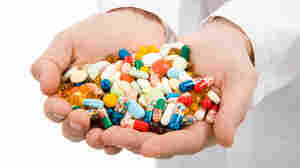 September 24, 2010  Time to clean out the medicine chest and dispose of your unused prescription medicines. The Drug Enforcement Administration is coordinating a nationwide network of drop-off centers this Saturday. 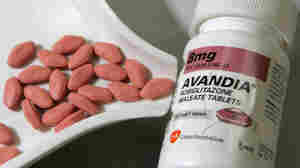 Does Avandia Decision Signal New FDA? Or Same Old Agency? 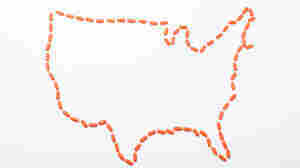 September 23, 2010  The different paths taken by European and American regulators on diabetes drug Avandia raise questions about where the Food and Drug Administration is headed. September 23, 2010  Despite mounting concerns about heart risks from the diabetes pill, the Food and Drug Administration has decided it can stay on the market. European regulators determined the risks outweigh the benefits and will pull the drug. Novartis Pill For Multiple Sclerosis Wins Approval, But At What Cost? 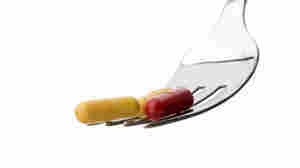 September 22, 2010  The first pill that can slow the progression of multiple sclerosis goes on the market next month. It won't be cheap, though. Analysts figure it will cost around $30,000 a year. September 17, 2010  A review of the best studies of the supplements, popular as treatments for arthritis pain, finds they aren't effective. But they probably won't hurt you either. 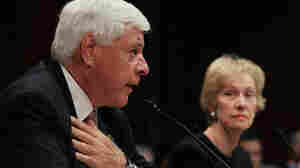 September 16, 2010  Rep. Edolphus Towns (D-NY) has asked J&J's Bill Weldon to testify about the company's handling of quality problems with over-the-counter medicines, including Children's Tylenol. A spokesman said Weldon will comply. September 16, 2010  A panel of experts looks at lorcaserin, an experimental diet pill, the day after splitting on whether to leave the controversial weight-loss medicine Meridia on the market despite heart risks. September 13, 2010  A panel of experts advising the Food and Drug Administration will vote Wednesday on whether the diet pill Meridia should be stay on the market, despite heart and stroke risks. New data sharpen the question. September 3, 2010  Kids tend to take medicines for asthma and ADHD. For older folks, drugs to treat blood pressure and cholesterol are most common. The proportion of Americans taking at least one drug has risen to 48 percent, the CDC says. 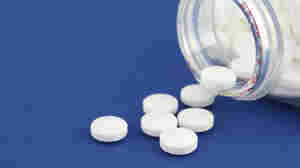 September 3, 2010  People who take popular osteoporosis medicines may be at higher risk for developing esophageal cancer. 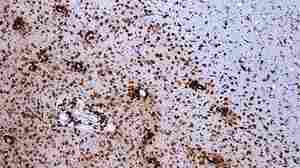 But a link is not proved and the odds, in any case, are still low, according to results of a new study.